(1976) Proliferative capacity of cell cultures derived from the human placenta. In Vitro 32:649–653. (1979) Classification of human placental villi.II. Morphometry. Cell Tissue Res 200:425–434. 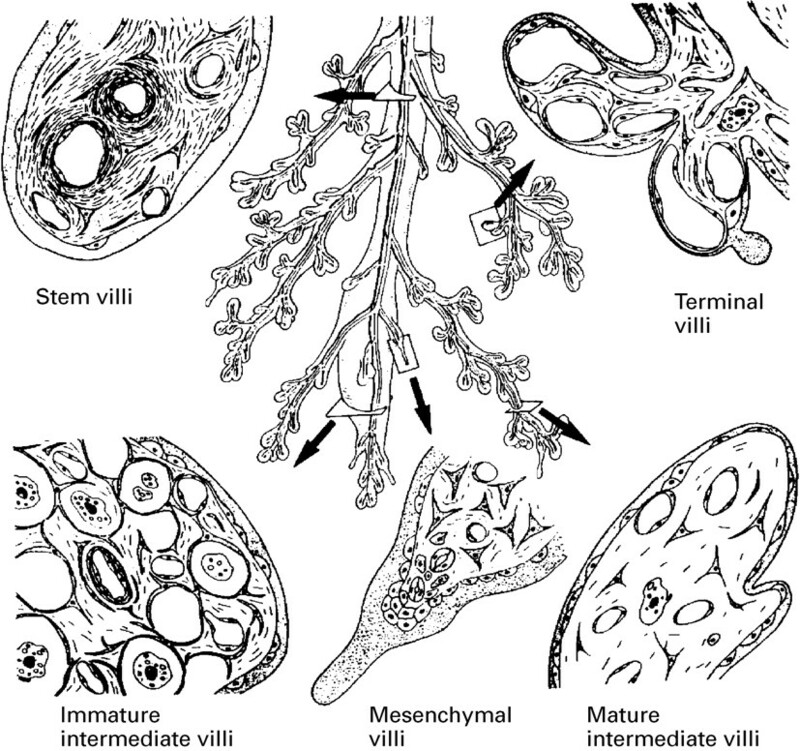 (1990) The development of the human placental villous tree. Anat Embryol 181:117–128. 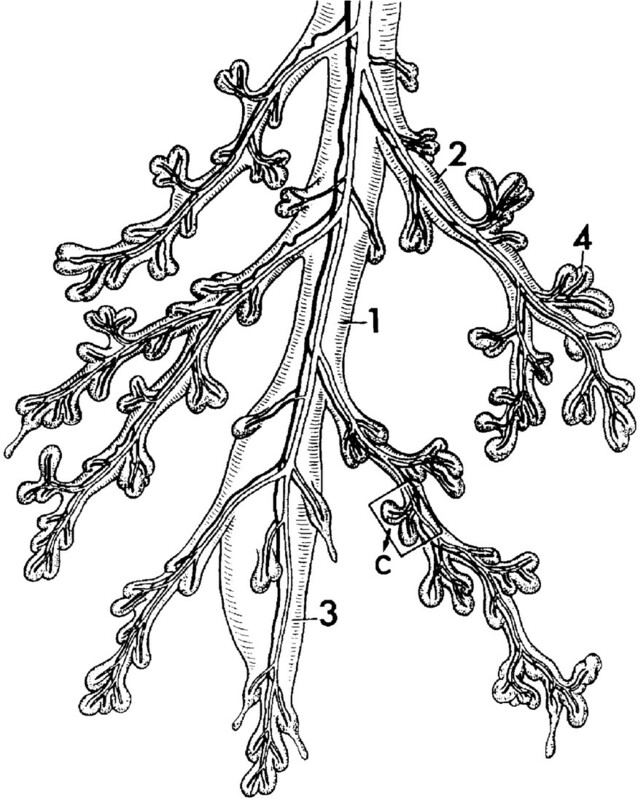 (1992) The formation of vasculosyncytial membranes in the human placenta. J Devel Physiol 18:43–47. (1984) Quantitative studies of the normal human placenta from 10 weeks of gestation to term. Early Hum Devel 9:297–307. (1989) Growth factors, protooncogenes and human placental development. Cellular Differential Development 28:1–16. (1985) Flow cytometry in the assessment of human placental growth. Acta Obstet Gynecol Scand 64:605–607. (1972) Verlangerte Schwangerschaftsdauer und Placentadysfunktion. I. Haufigkeit und und Diagnostik bei den Geburtsjahrgangen 1955-1996. Deutsche Med Wochenschrift 97:671–675. (1988) Obstetric consequences of post maturity. Am J Obstet Gynecol 157:334–338. (1985) Macrosomia: maternal characteristics and infant complications. Obstet Gynecol 66:158–161. (1995) A stereologic study of postmature placentas fixed by dual perfusion. Am J Obstet Gynecol 175:500–507.